Native Americans knew how to "read" the wild and felt privileged to learn from their wilderness relatives. Plants, trees, animals, birds, reptiles and amphibians all have secrets to tell; it takes only paying attention and a little knowledge and you, too, can begin to create the story that explains the disappearing snowshoe hare tracks, or how the fawn got its spots, or why Native Americans always associated the bear with healing and medicine. Bev Doolittle's famously intricate drybrush watercolors show young viewers detailed and accurate wildlife in their habitats, including the frog's world at the edge of a pond and the sweeping vista of the mountain goat's home. 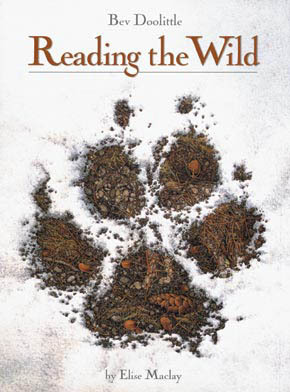 Reading the Wild helps children begin a lifelong journey of wonder and respect for the wild around us. .